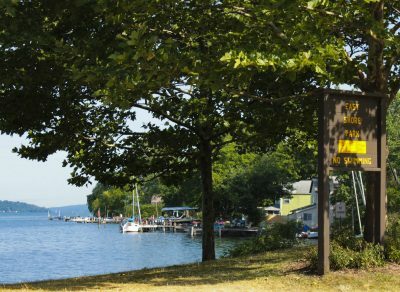 Ithaca’s East Shore Drive Apartments are right next to Cayuga Lake, in one of the most scenic spots in town. Close enough to the city center to be convenient for shopping, jobs and school; far enough away to enjoy the forested hills and dramatic lake views, without feeling isolated. The East Shore neighborhood has a great combination of lake-shore scenery and easy access to nearby attractions. Houses and apartments next to Cayuga Lake along East Shore Drive. 605 East Shore Dr. – Single-family home. 1002 East Shore Dr. – 2 units; (2) 2BR, parking and dock access available. 1138 East Shore Dr. – 3 units; (2) 1BR, (1) 2BR, parking and dock access available. 1143 East Shore Dr. – 3 units; (3) 1BR, parking and dock access available. 1147 East Shore Dr. – Single-family home. 1151 East Shore Dr. – Single-family home. Where is East Shore Drive? 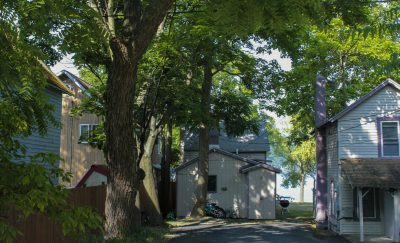 The name says it: East Shore Drive neighborhood is right on the eastern shore of Cayuga Lake. Route 13 runs around it to the south and to the west; Cayuga Heights Road borders the neighborhood to the north. Neighborhoods that are nearby to East Shore Drive include the Northeast neighborhood, the Cayuga Heights neighborhood, and theFall Creek neighborhood. The private docks of East Shore apartments and homes, seen from East Shore Park. Cayuga Lake – Naturally, Cayuga Lake is one of the main attractions in this neighborhood. Many of the houses and apartments in this area have their own docks on the water; those that don’t typically have a deck looking out across the lake. Life on the lake shapes the culture and character of this neighborhood in a big way. Merrill Family Sailing Center – A great resource for those who are interested in sailing but have never learned, and those looking to improve their sailing skills. The Center offers monthly and seasonal memberships, which include lessons and access to the Center’s watercraft. Stewart Park – This beautiful park is just a short hop down Route 34 from the East Shore Drive neighborhood. In the warmer months, this is a popular place for barbecues and picnics; the Independence Day fireworks are launched from nearby, making Stewart Park one of the main places to watch the show from. Stewart Park is also home to the Ithaca Bike Rental, as well as one of the starting points for the Black Diamond Trail, which extends all the way around to Taughannock Park on the opposite shore. The Shops at Ithaca Mall/Triphammer Mall – Just across Route 13, in the Northeast neighborhood, East Shore residents have access to both the big-box Ithaca Mall and the locally-focused community shopping center at the Triphammer Mall. Between the two spots, there are dozens of shops, restaurants, and entertainment options.